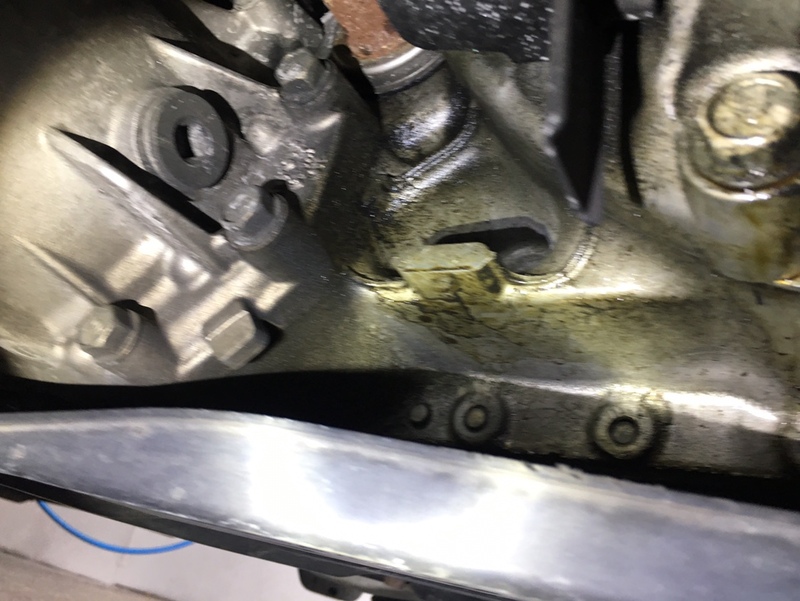 Acura MDX Forum : Acura MDX SUV Forums > Model Specific Discussions > Second Generation MDX (2007-2013) > Transmission or oil leak at RMS? Transmission or oil leak at RMS? Just noticed this leak between the transmission and the engine. Looks like engine oil is leaking from the RMS. If the transmission fluid is leaking shouldn’t the color be dark brown or red? I did a high pressure wash and let see what happens. I have a hunch the leak is probably from flooring that I had done for the past 3-5 days. That looks like engine oil. Ok thanks. I didn’t noticed any significant oil loss. There is nothing I can I do about it. I hope it is a very slow leak. Check drain plug for tightness? It does not look slow leak, it looks messy down there. I think you dropped oil pan awhile back, oil pan seal leaks? 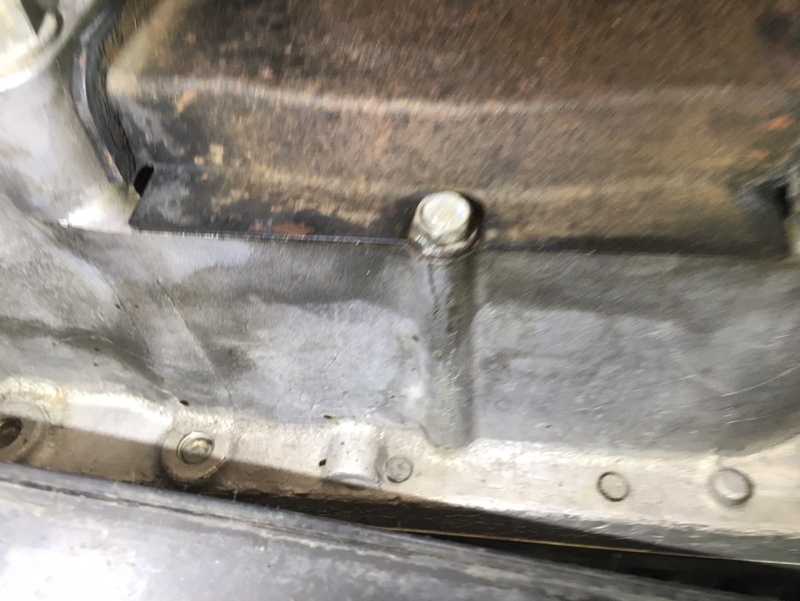 I don’t see any oil leak under the oil pan or at drain bolt. 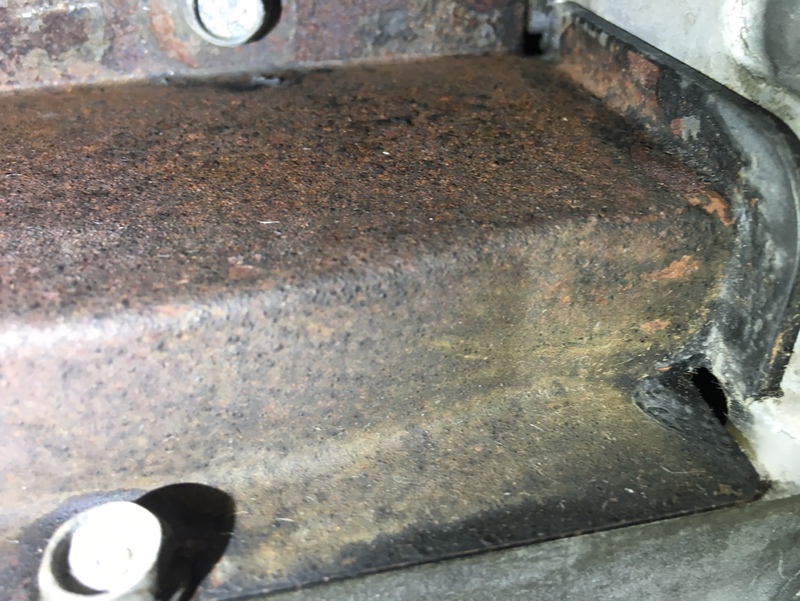 Yes I removed the oil pan about a year ago and I didn’t see any leak last month. 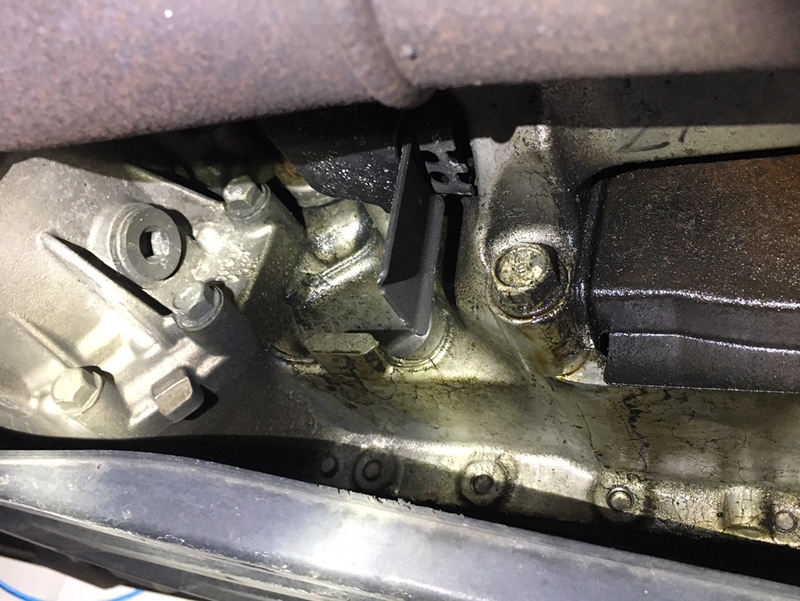 I noticed the the leak after dealer filled with a conventional oil for the consumption test. 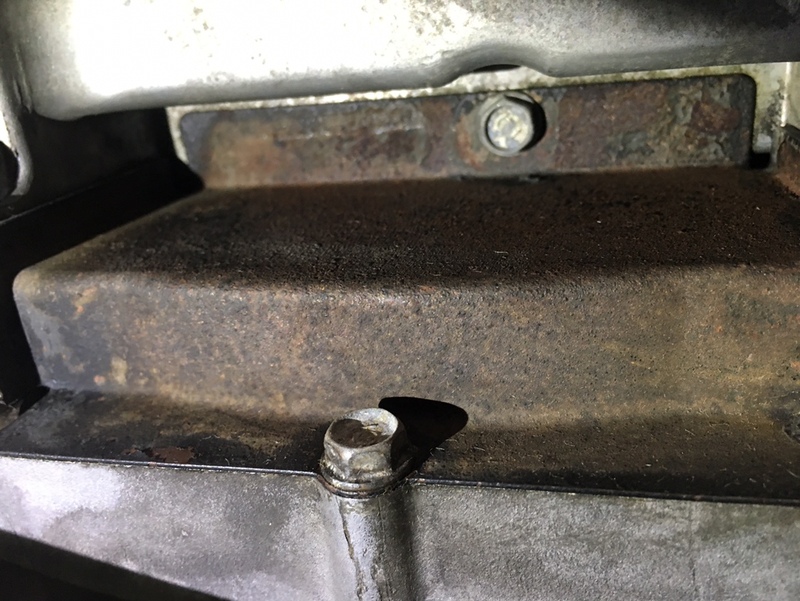 Dealer tech may torque the drain plug. It will leak at 29 lbf-ft as the washer is not crushed. It happened to me when I was using the torque spec. As you drive, the leak oil sputtered everywhere. Double-check that drain plug. My ‘09 had a rear main seal leak from ~80K until I had it fixed with the timing belt at 105K. It never lost any real volume. Did you have to drop the transmission? I dropped the transmission and did the repair myself. I used a helping hand just for safety purpose and to speed up the drop and installation of the transmission. Better with two angle simultaneous vision. That doesn't look like a leak to me. Looks pretty much the same as I've had for about three years now - just sweating oil. Dealer diagnosed oil pump seals, which will require removing timing belt and oil pan. So I am waiting for the next timing belt change to do it. No oil consumption whatsoever. My mistake, I checked my records & I was confusing the MDX’s Passenger Side Axle Seal with the RMS I did on my truck at the same time, both a couple years ago. 1. Best way to wash oil residue is "Brake Cleaner". Use only the non-flammable kind. Put down newspaper or cardboard to catch the mess. 2. Good news about a small RMS leak: The leaking oil will not do any mechanical damage since it only soaks the torque converter. Do make sure that it does not leak so badly that it covers the catalyst. That could start a fire. 3. I lived for five years with a leak on my 2005. It got worse in Summer heat, so I switched to 10W30 for Summer use only. That reduced the amount of leakage. 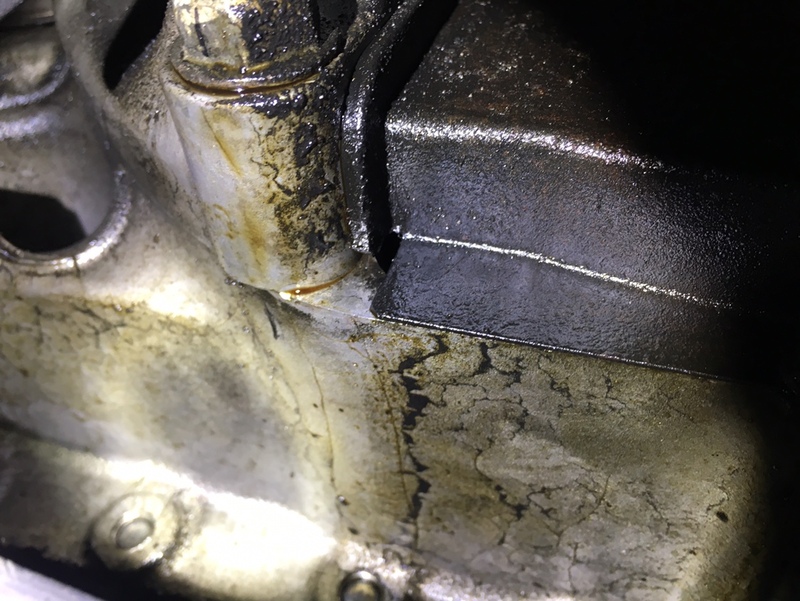 Like I mentioned earlier in this post the dealer used a conventional 0w-20 for oil consumption test and that when I noticed the leak at the RMS. I had never noticed any leak at the RMS before as I always used 5w-30 synthetic. So lower viscosity oil is prone to leak?